South Korea’s Netmarble Games said Thursday that its mobile game “Lineage II: Revolution” had become the top-grossing app in Japan’s Apple App Store, just 18 hours after its official launch in the country. It is the first time that a Korea-made mobile game has taken the No. 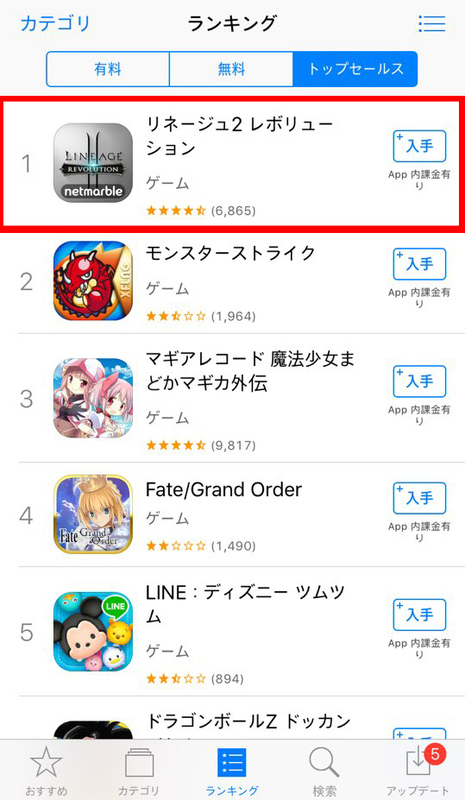 1 spot in app revenue ranking in Japan’s App Store, marking a milestone for Korea’s mobile game business. Netmarble released “Lineage II: Revolution,” a mobile role-playing game based on the storyline of NCSoft’s popular PC online game “Lineage” in Japan on Wednesday. On the same day, the app topped the most popular app lists on Google Play and the Apple App Store. Netmarble, which has increased its number of servers from 40 to 60, is planning additional server expansion to address the high user traffic, it said. In addition to Japan, “Lineage II: Revolution” continues to top the mobile game ranking chart for the app stores of Taiwan, Hong Kong and Singapore. The game launched in 11 Asian countries in June. The mobile role-playing game is set for release in the US and Europe before the year’s end. The game’s launch in China, initially scheduled for the fourth quarter, remains uncertain. Netmarble’s Chinese publishing partner Tencent Holdings applied for regulatory approval to service the mobile game in China months ago. However, the Chinese authorities have yet to grant the company a service license.